Good morning Boothers! I hope you all had a fabulous Father's Day weekend. 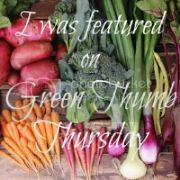 Last week's Meatless Monday brought us some really fantastic recipes. If you haven't had a chance to read through them, make sure you go back and do so. 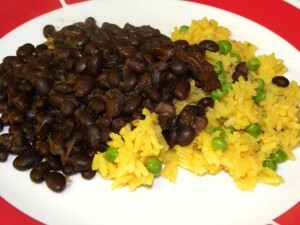 One of them in particular -- Black Beans & Yellow Rice by A Few Shortcuts -- really brought me back to my childhood. I was born in south Florida where I was able to enjoy some amazing Cuban food as a kid. Black beans and yellow rice has always been one of my favorites. After leaving Florida my mom would recreate this meal (always with chicken though), but the rice came from a bag and the beans from a can. When I moved out and began making this meal myself I, of course, did it the same way. Now I can't wait to try this homemade version from A Few Shortcuts. It looks delicious! 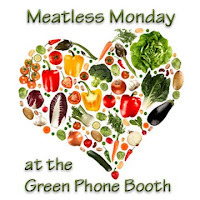 What's on your plate this Meatless Monday? Use Mr. Linky below to share your recipes with us. You can post any time during the week. Just put your name with your recipe name in parenthesis. Mine will be up later this evening...making my own stuffed portabellas: sauteeing red bell peppers and chopped leeks (b/c that's what's in the fridge) in a little olive oil, with Italian seasonings, then spooning into the mushroom cap and topping with feta cheese and broiling till everything is melted. Once again it's yoga night, so late, and light is the order of the day. 1 onion, 1 head cauliflower, 2 yellow bell peppers, 4 cups vegetable broth, salt, pepper and turmeric. Dice all vegetables. Heat 1-2 tablespoons oil and add vegetables, stirring occasionally. Cook for 10-15 minutes. Add broth. Bring to boil. Cover and simmer for 25 minutes. Add salt, pepper and tumeric to taste. Puree.